Today I decided that since you all so quickly solve the mysteries that other Cozy Mystery readers ask about, I’d go ahead and ask for help in solving two Cozy Mystery readers’ questions. I am trying to remember which book has the cat the breaks into the communion supplies at the church and steals the communion wafers. I keep thinking it’s Pewter (one of Harry’s cats in the Mrs. Murphy series). The preacher has 2 cats and I think one of them helps but I’m just not sure. Do you know which book it is? It might not even be Mrs. Murphy books. Just can’t remember. …I read a book which as far as I can remember was about a young woman who inherits a relative’s place that is dominated by a huge piano. [The piano reveals something important when the relative’s murder is solved]. If you think you know the book Kathy is asking for about the cat or the book series/author Susan is asking for about the piano, please post a comment. Thank you! The cats break into the Communion wafers in several of the Mrs. Murphy books, I think. The one I particularly remember is “The Tail Of the Tip-Off”. It’s not just Pewter, it’s Herb’s cats Elocution and Lucy Fur and Mrs. Murphy. I think Tucker gets into the act too. Dragons3, I can’t get over you being able to remember the exact Mrs. Murphy book in which this occurred! Thank you! I confess. I recently listened to the audio book of it, so it stuck in my head. I really enjoy this series, although I think the earlier ones were more fun. Brown tends to ride too many hobby horses lately. Dragons3, I’m glad you felt the need to confess! 😉 The more I thought about it, the worse I felt about my memory! I can’t imagine what attracted the cats to Communion wafers, of all things — wonder if it’s the grain (which is also an ingredient in the not-so-great cat foods) … sounds like Pewter for sure, that omnivore! I used to have cat who got into a packet of Basmati rice, and I have one now who once got into and chewed some coffee beans (that had me pretty scared, but she was fine — I watched her all night). But she’s naturally “caffeinated” — I have no idea why she wanted coffee beans. Must’ve been the oil in the beans. Cats love oil products! Some lick plastic shopping bags or chew tissues (petrol products). My boy Percy loved olive oil, and my Fiona, caffeine fiend, does too, along with chocolate. (Hazards: caffeine and chocolate, so I must carefully guard every one of those foods I buy.) You can imagine, I have learned to unpack and store every one of my groceries immediately! Sorry for going on, but I know there are pet lovers among us, and some of our animals have truly “catholic” tastes! So watch out for them. I had one of those omnivore cats, too. Her name was Scatter Kitty (better known as Scatter the Paw) and she was a rescue that I adopted when she was 5 weeks old. She could open any door and drawer in the house, so I had to put childproof latches on all the doors in my kitchen cabinets. She’d chew open boxes of cereal or pasta or crackers; chip bags; bread wrappers; any kind of food product and eat it. One time she opened the freezer and helped herself. The next morning I stepped on a half thawed, half eaten roast in the living room. smart kitty, and quite a character! Marja, I had no idea that cats are attracted to oil products. that is weird. When Sprite (dog) was with us, I had to be sure everything edible was out of her reach. Lucky for me, she (obviously!) couldn’t jump up on the counters like cats can! Rita Mae Brown’s series has the cats. It is the Minister’s cats who entice Pewter to gorge on the wafers. Will work on their names. For the cat eating communion wafers, try Cat’s Eyewitness by Rita Mae Brown & Michael Gellatly. Cejaxon, thank you for this information. Someone else thought it might be The Tail of the Tip-Off, so Kathy only has two books to take a look at… Thanks, again! It’s definitely the Mrs. Murphy series with the communion wafer stealing cats but I would have to go through my books to tell you which cat or which book. Barb, so far it looks like it’s either Cat’s Eyewitness or The Tail of the Tip-Off, and I’m guessing that as soon as Kathy takes a look at both of those books, she’ll know exactly which one it is. Written by Rita Mae Brown and Sneaky Pie. It happens just about every time Harry takes the cats to visit the Rectory. I think just about every other book or so. Yes, those are the Rita Mae Brown books. The cats Reverend Herb Jones have are Elocution and Lucy Fur. There is a third one but I can’t remember the name of that guy. I’ve read all the series and believe there are at least 2 with a lot of interaction with the Rev’s cats. Maybe the Big Cat Nap or Cat on the Scent. Dana, thank you for these two books’ titles. Now Kathy has four possible books to look at, and that’s a whole lot better than 25! I think the 3rd cat is Cazenova or Casenova. Wow! You guys are fast! Yes, I agree it is a Rita Mae Brown book, the Sneaky Pie series. (The Reverend’s cats have some of the greatest cat names ever!). I can’t remember which book it occurs in either, I think about mid-series. Later books often refer to that incident. Mary G, I see you’re amongst Katherine Hall Page‘s many, many Faith Fairchild fans! I agree, those Coziess are terrific! I have a question. I was reading a series about people who were taking care of stray cats. They were taking turns feeding them out of town up behind an old home that was empty. I know by now that there should be another book out by now It would be the fourth or fifth. Sue, I believe you’re looking for Sofie Kelly‘s Magical Cats Mystery Series. You’re right, there are currently seven books in that terrific series. Hi. 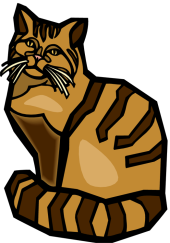 About the stray cats, I believe you may be thinking of softie kelly’s magical cat series. Local folks go to an abandoned house and take care of the feral community. The main character works at a library. Dana, thank you for the information. I think you’re right, if it isn’t Sofie Kelly’s Magical Cats series, I’d be surprised. What about Susan’s question about the inherited house dominated by a huge piano? I must confess that have no clue what book this is! Ruth, I know, it has been bothering me, too! Martha, it looks like there are four Mrs. Murphy titles from which Kathy can pick, but so far, none of us have any ideas as to the author of Susan’s book. Susan did include a fact that I took out of the clue, because I was afraid it was too big of a spoiler for those who might want to read it (or are currently reading it). Well I see the communion wafer eating cats question has been solved — I think the Rev’s 3rd cat is named Cazenovia or something like that? Would also like to see the answer to the piano question — doesn’t ring any bells for me at all & has me quite curious. I’ve read the book Susan has but can’t for the life of me remember the title so it’s bugging me now as well! It will probably come to me after a while. Might be a long while. Anne, great news! At least one of us has read it. I hope it comes to you, but in case it doesn’t, I hope it doesn’t keep bothering you. I know how that it! 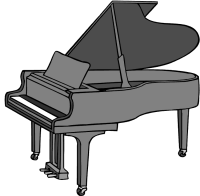 I’ve remembered a little bit about the piano story I think – the relative had always wanted to play Schubert (or Bach, can’t remember) on a grand piano and some-one bought one for him, but he couldn’t play it, he’d gone past his prime. I think I remember the ending but I won’t give it away except to say it involved the layout of the apartment. The piano one could be Somewhere in the House, by Elizabeth Daly. It’s one of the Henry Gamadge mysteries series, it’s very, very creepy (not supernatural) and one of her best novels, in my opinion. There is a big ol’ piano that figures into the story, but it’s not one of the main elements of the mystery, so this may not be the book Susan is looking for – but it is still an excellent read, especially if you like the old-fashioned, Agatha Christie era kind of book.